Perhaps the truly core skill to being a credit specialist is a deep understanding of the risk management process and typical outcomes when adapting the fundamentals of credit assessment to the circumstances of borrowers who do not meet conventional bank lending requirements. How to efficiently assess and limit credit risk and how to balance the overall secured deal in this context. Another core requirement for a credit specialist is how to offer a superior lending process and experience to brokers and borrowers than is typically ‘endured’ with banks in assessing these deals. Anecdote is rife with these deals stalling in banks for weeks or even months, making this second requirement perhaps less challenging than the first! What brokers want, whether a deal is bank prime or specialised, commercial or residential, is a fast approval decision and, when the answer is yes, a straight forward path to settlement. 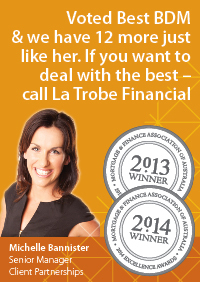 La Trobe Financial has of course been walking this path for decades and through numerous economic and funding cycles. In the process, for both our commercial and residential lending programs, La Trobe Financial has developed strong ‘goal posts’ to guide our lending and has developed strong priorities in achieving and maintaining high and effective, personalised service levels to our brokers. Of course ‘putting the ball between the posts’ can be done a number of ways and this can require reinterpretation from time to time as society and the Australian economy evolves, to reflect fast evolving information solutions and changing circumstances of borrowers. But the core balancing process in assessing deals as responsible and appropriate to all participants moves much less in our view and goal posts should not vary much at all in the specialist space for the sake of meeting volume aspirations. 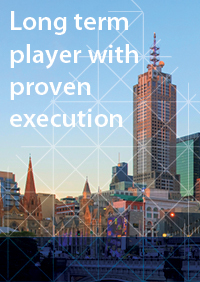 to make this process as direct and straight forward an experience as possible for our valued commercial broker partners. Of course some of these are equally generic to our residential lending program. 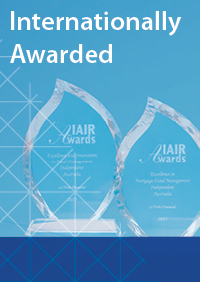 At La Trobe Financial our commercial lending is undertaken by a dedicated team of highly experienced credit analysts. You are dealing directly with the decision maker in almost all cases. These decision makers have both the appropriate Delegated Lending Authority to propose and approve the deal. They also have deep experience, understanding of and confidence in approving specialist commercial loans. This is all that they do. 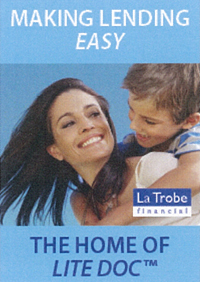 Commercial loans at La Trobe Financial do not need to be referred on to separate Credit Departments. Key to specialist credit assessment is flexibility in dealing with borrower circumstances and undertaking a manual process to assess and work through these circumstances, identifying appropriate solutions and structuring a deal that meets all needs. As a result flexibility is our Credit Analyst’s expectation in assessing commercial deals. We are a solutions based lender and our Credit Analysts enjoy the challenge and rigor this opportunity presents. Typical, sensibly applied solutions include meeting servicing requirements and assessing credit history. And on this point, we are a dedicated credit specialist, meaning tailoring solutions is not dependent on meeting minimum loan size limits nor deprioritised because of the tailoring work required; that is our expectation. these processes avoid the workload associated with Full Doc lending and replace it with a process that balances appropriate verification with time efficiency for the borrower and broker. All of the above practices and most all of the practices listed below assist in meeting our key priority for speed of decision making. An extended time period to issue a commercial Indicative Approval is not ok. Our benchmark for the Commercial Team is two days. If this isn’t met it is an internal reporting matter. The La Trobe Financial Commercial Team also makes a very conscious decision to ask the right questions. Of course our Credit Analysts also don’t have to refer back to lists of follow up questions from remote decision makers; it is up to them. Our decision process is planned to be streamlined and this means we determine which are the questions we must have answers to . In similar vein our commercial products do not require detailed evidence verifying cash out purposes. We will of course ask the reason for the cash out to establish it is a valid purpose. A similar example of valuable and sensible flexibility in Full Doc commercial lending is our “Lease Doc” product for leased commercial properties. Servicing requirements for this product can be met in full by documenting the rental income source. There is no need for any further financial information. As a credit specialist, La Trobe Financial does not behave like a bank requiring ‘all of relationship’ banking and there is no review event on commercial loans linked to other banking services. We do not attempt to tie up or cross condition against our commercial borrowers’ broader or family banking services or products. There is also no Annual Review condition attached to our commercial loans. 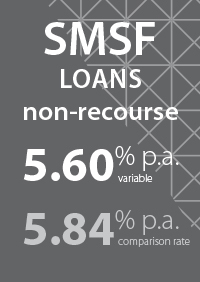 Once approved these loans run their full legal term subject only to borrower performance. At the conclusion of the commercial loan term our borrowers enjoy a streamlined renewal process where serviceability is fully evidenced based on the borrower’s performance in the lead up to expiry. There is no need for a full review, for either Full Doc or Lite DocTM servicing information. Finally (yes its number 11 but we think you’ll like it), La Trobe Financial changes its lending standards as little as possible. We believe temporary changes (whether stated to be such or not) including characterised as “specials”, result in confusion and frustration for brokers. It is not appropriately valuing or respecting our broker customers to regularly modify what we consider acceptable to lend on, particularly just to meet our own volume aspirations. Consistent lending standards are a key objective for La Trobe Financial’s Commercial lending Team. We trust that some or many of these will ring true to our readers in reflecting on their own experiences and that you agree with our experience that these differences are a valuable and critical difference worthy of your attention. Again, the simple premise for all of our Commercial product design, product matrix and processes is to maximise our ability to offer sensible, flexible lending solutions to our brokers and to provide a fast answer to a proposal and a straight forward path to settlement. We are of course very pleased to achieve the same experience for every broker that offers our Commercial lending Team the opportunity to satisfy their lending needs. La Trobe Financial today joined other lenders of recent days, dropping its borrower rates on flagship products to historic levels. The Full Doc Clear product has been lowered even further to a special rate of 5.60% pa^ (comparison rate 5.84% pa*), joining La Trobe Financial’s strongly received residential SMSF product at this super competitive rate. 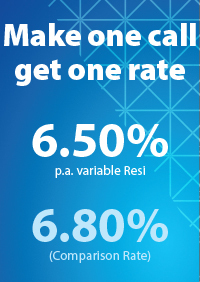 La Trobe Financial’s key borrower rate which covers all of its Lite Doc products and Full Doc Prime product has reduced to 6.50% pa^ (comparison rate 6.80% pa*). 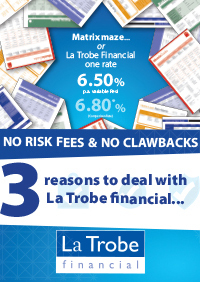 La Trobe Financial believes its simplified and straightforward pricing policy, essentially 5.60% or 6.50%, strikes a chord with brokers on the basis of being set to a highly competitive level. 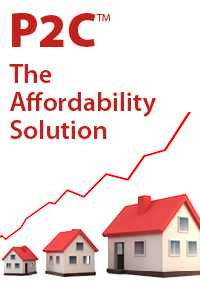 * The comparison rate is based on secured credit of $150,000 and a term of 25 years. Different amounts and terms will result in different comparison rates. Costs such as redraw fees or early repayment fees and cost savings such as fee waivers are not included in the comparison rate but may influence the cost of the loan. Terms, conditions, fees, charges and La Trobe Financial Lending criteria apply. ^ Depends on risk grade of borrowers.